If tradition holds true, many military families are preparing for a summer of packing and unpacking in a new town. Probably the most important part of the PCS process is finding a new home, and rental houses often meet the needs of families that are transient. For renters and landlords, moving to a new address isn’t as simple as searching online photos and ordering background checks. Both parties have to be aware of their legal obligations notated in not only the current lease, but any potential lease in the future. If they are not completely informed, the legal and monetary ramifications could be devastating. Before 2003, when the Servicemembers Civil Relief Act (SCRA) was created, the most common term service members inserted into a housing lease was a military clause. A military clause was typically added to exempt the member from their signed lease if a PCS was pending. Now, however, the SCRA covers the majority of those needs and a military clause is used to simplify or further describe unique housing circumstances. Whether a landlord or renter, the following information is everything you need to know about the military clause and its often confused cousin, the Servicemembers Civil Relief Act. The SCRA is a federal law enacted to provide active duty service members legal protections. As it pertains to housing contracts, a clause in the SCRA guarantees military members, including certain groups of activated National Guard and Reserve components, the right to terminate a lease if a set of conditions are met. The member entered into military service during the lease. The member started a lease during military service and receives orders to deploy for at least 90 days. The member received Permanent Change of Station orders. The tenant provides written notice of intention to move. The tenant delivers the landlord a copy of official military orders. The tenant satisfies rent payments for both the month notice is given and for the following month. When these qualifications are met, the tenant’s lease is terminated 30 days after the first date of the next monthly payment due. Military members should also know the complete SCRA legislation covers more than real estate concerns. Protections and benefits are provided for in the following areas: interest rates, contract, insurance, and tax rights, as well as during judicial proceedings. Military members often find great savings by contacting their financial institutions and invoking their SCRA benefits, especially when concerning credit card fees and APRs. A military clause is not part of the SCRA; it is a customized agreement inserted into a lease. It is formulated and upheld by the tenant and the homeowner. A military clause often enhances the SCRA, but does not replace it. This lease is executed with the express understanding by Landlord that Tenant is on active duty with United States Armed Forces. Therefore, the lease may be terminated by Tenant thirty (30) days after Tenant notifies Landlord, in writing, that: (1) the Tenant has received permanent change-of-station orders out of the area or (2) the Tenant is discharged or released from active duty. The lease may also be terminated thirty (30) days after Tenant has notified Landlord, in writing, that the Tenant has received notice from the Housing Office that government quarters are available under either of the following conditions: (1) Tenant has been ordered by his or her command to reside in government quarters; or (2) tenant informed Landlord prior to commencement of the lease that Tenant has requested government housing and is awaiting government quarters. Tenant will provide Landlord with a copy of such documents as may be necessary to substantiate the exercise of this military release clause. The word “Tenant” shall include the plural and shall apply equally to any and all Tenants residing in the premises under this lease who are members of the United States Armed Forces and their dependents. The exercise of this provision by any one of multiple Tenants shall constitute release for all Tenants. Maintaining an honest and open relationship with your landlord regarding pending or potential PCS moves alleviates many of the concerns that are connected with moving. The SCRA is enforced by federal law. 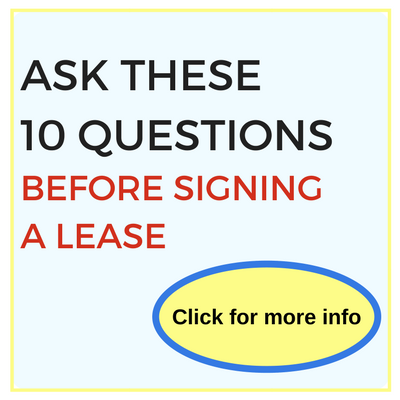 Lease terms that violate this law is nullified by the courts. Any confusion regarding the SCRA, military clause, and tenants' rights can be settled by scheduling an appointment with the closest U.S. Armed Forces Legal Assistance. To review, because renters often misunderstand their financial obligations, the lease is only terminated 30 days after the first day of the next month’s payment. For example, if orders arrive October 10, then full payment is due November 1. The lease legally ends as of November 30. Although including a military clause is recommended to clearly stipulate any exceptional details that would end a lease early, the SCRA conditions are valid regardless of the insertion of a military clause. If the service member’s name is not on the lease, (only the spouse’s signature) it is likely the service member is covered anyway, but each state determines if the SCRA extends to the service member if the housing was for their use. To have a clear way out of the lease via the SCRA, the service member must have their name on the lease. If not possible, a specific housing related power of attorney is required for a spouse to submit written notice without the signature or presence of the service member. Regardless of what the lease dictates, including the military clause, the SCRA prevents the renter from paying out the remainder of the lease or a termination fee if the lease has to be broken. Tenants may waive their SCRA rights. Although there are not many situations where this is beneficial to the service member, it is legal provided the landlord and tenant agree, and it is written in the lease. This option is sometimes used when rental markets are tight and the tenant needs to occupy the home quickly. Honoring the request for a military clause many seem like a burden, especially if the homeowner is worried about an unnecessary vacancy. It is there to provide both the landlord and the tenant clear explanations of how and why it should be invoked. For instance, the classic example of a military clause refers to any military region that has multiple installations in close proximity, but heavy traffic and intense commute times are daunting. Although the orders state the change in installation, the distance may not be far enough to warrant a true PCS and the SCRA could not be activated. A military clause allowing the lease to be terminated due to change in installation, regardless of PCS orders, is an option if both landlord and tenant agree. Another version of a popular military clause is one regarding an on base housing wait list. Tenants have the option to include a military clause that exempts them from the lease’s terms if a home on base becomes available. Landlords need to be aware that there are circumstances when each branch dictates that certain service members are mandated to live on post when housing becomes available. State laws sometimes come into play regarding this issue. The state may interject that the service member need only to provide the landlord with the documentation from housing stating a home is available to be removed from their lease. Tenants cannot be penalized in any way for utilizing the SCRA in appropriate situations. Renters sometimes have the luxury of couple of months’ notice of transfer. If the tenant submits the written notice before the required 30 days, the landlord cannot evict the tenants early. If the tenant has prepaid any monthly rent fees, the landlord is required to refund the rent up until the termination date. The SCRA isn’t restricted to only the service member. The family is covered as well, meaning, the spouse is not responsible for the lease even if their name is on the document. Misconception #1: The SCRA and a military clause are the same. No. 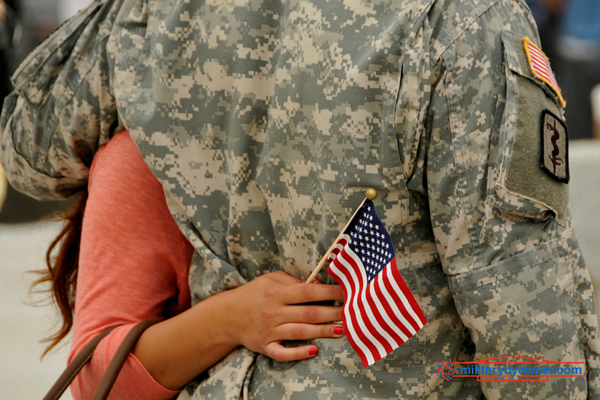 The SCRA is a federal law which protects service members from adverse actions resulting from exiting a lease early. It must be adhered to. A military clause is a mutually agreed upon inclusion in the lease describing a circumstance for termination, such as the desire to live on base when a house becomes available. Misconception #2: Every state has the same landlord/tenant laws pertaining to the military clause. Misconception #3: A military clause is a tenant’s tool for an automatic nullification of a lease. No. The SCRA is the only law that allows service members to end a housing lease early, if the correct conditions are met by the tenant: military service starts during the lease, orders to deploy for at least 90 days are received, or PCS orders are written. The tenant also must provide written notice and a copy of the orders. 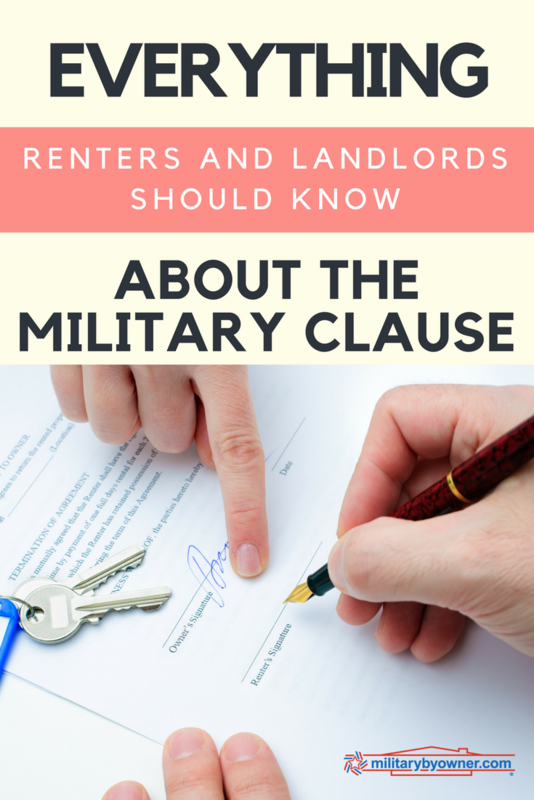 These descriptions should inform both renters and landlords of their basic rights, but, as always, when it comes to rental agreements and a military clause, remember these two disclaimers: each state has different laws that affect a military clause and each tenant/landlord rental agreement is unique. Knowing your specific rights as the landlord or renter is crucial to achieving a successful lease term, whether completed in entirety or shortened by military duty. To start off in the right legal direction, consider using the services offered from MilitaryByOwner partner U.S Legal Forms. The company has 85,000 state-specific legal documents and forms covering a broad base of categories including a Landlord Tenant package. Note: This article is not intended as legal advice, but is for informational purposes only. 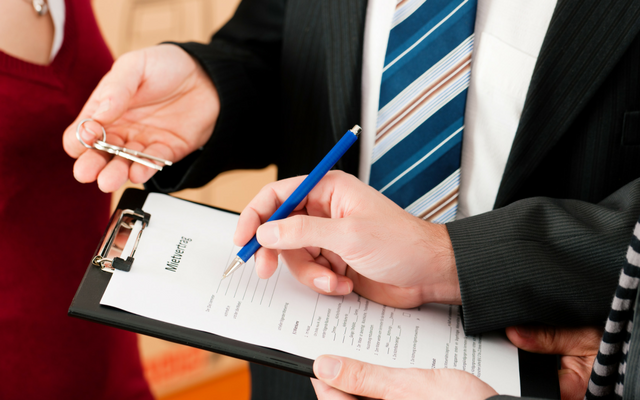 Check your state's laws and consult with an attorney if you have specific questions.